It is with great joy to announce to you the Jubilee Year of Mercy, declared by His Holiness Pope Francis, starting from the 8th December 2015 – the Solemnity of the Immaculate Conception, to November 20, 2016 – the Solemnity of Christ the King (Misericordiea Vultus #5). A Jubilee or a Holy Year, is a religious event that involves the forgiveness of sins, as well as reconciliation. But the idea of a jubilee dates back to the Bible: “And you shall sanctify the fiftieth year, and proclaim freedom throughout the land for all who live on it” (Leviticus 25: 10) For the ancient Israelites, the jubilee was a time properties were returned to their original owners or legal heirs, slaves were set free and creditors were barred from collecting debts. Pope Boniface VIII in 1300 declared the first Christian jubilee, beginning with the opening of the Holy Door, an entrance to St Peter’s Basilica, usually blocked, through which pilgrims can enter. 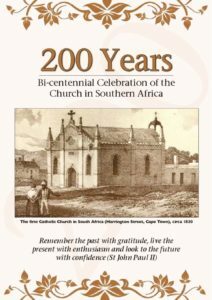 Catholic practice has been to mark the jubilee every 25 years, every 50 years, every 100 years, every 1000 years, and many expected the next jubilee to be in the year 2025. We were also anticipating a Special Jubilee Year around 2033, to mark the Death and Resurrection of our Lord and the Coming of the Holy Spirit on Pentecost. So this was unexpected. That is why it is an “Extraordinary Jubilee Year” declared by the pope as he deemed it necessary. On Sunday November 29 2015, the pope, while still in Africa, opened the Holy Door of the Cathedral of Bangui, the Capital of the Central African Republic, as a symbolic start to the Holy Year of Mercy. The Vatican will be celebrating the Jubilee Year of Mercy in a variety of ways, including the opening of the Holy Doors of the four papal basilicas in Rome (St Peter’s Basilica, St John Lateran which happens to be the Cathedral of Rome where the Chair or Cathedra of the Holy Father as Bishop of Rome is kept; St Paul outside the Walls and St Mary Major). The Holy Father requested the Establishment of the Missionaries of Mercy who will be the Holy Father’s personal heralds of joy and forgiveness, granting various indulgences for those who sacrifice and seek forgiveness during the jubilee year, and encouraging all Catholics to both minister to the poor, those living on the outermost fringes of society, and to embark on a pilgrimage during the Year of Mercy. (Indulgences: During a Jubilee Year, Catholics can obtain special indulgences or remissions for their sins, if they fulfil certain conditions and do good works or make pilgrimages. Your pastors will explain this to you). As the Diocese of Klerksdorp, we have taken the declaration of the Holy Father seriously. That is why on the 8th of December we are opening the Holy Door of the Cathedral of Christ the Redeemer in Klerksdorp. This Cathedral will be our central place of pilgrimage throughout the year. I encourage all the faithful, young and old, to make a pilgrimage to the Cathedral during this Holy Year. Organize with the Cathedral prior to your coming, if you need their service and ministry for your pilgrimage. We asked our Deaneries to see if they would like to arrange their own pilgrimage centres in the deanery. We encourage our deaneries to be creative and to come up with good pastoral initiatives to mark this jubilee year. Many Catholics will be expected to visit Rome as pilgrims and to enter some of the Holy Doors of the Roman Basilicas. The Saints of Mercy like St Faustina, St Margaret Mary Alacoque of the Sacred Heart, Pope St John Paul and St Maximillian Kolbe will be some of the saints we will be focusing on, to know their stories and their message to us about God’s mercy and how we too can be merciful. In this Holy Year of Mercy, we have been requested to focus on the motto: “Merciful like the Father” “Go nna Boutlwelobotlhoko jaaka Rara” (Misericordiae Vultus #14). Let us all try to understand that God is rich in Mercy (Eph 2:4) and that God’s justice is God’s mercy (Exodus 34:6). This year will be a good time for us to meditate well on the Parable of the Prodigal Son, also known as the Parable of the Merciful Father (Luke 15), and the Parable of the Good Samaritan (Luke 10). These two parables reveal God’s mercy towards sinners and how we should practice this mercy towards others. Our mercy will focus on all people. Among these people, you will encounter those who are weak and those who hold grudges against you, the poor and oppressed, the unemployed and sinners, the marginalized and the sick, victims of your own mercilessness and abuse and the lonely. The pope would like us to bring the goodness and tenderness of God to them. Each parish church or outstation must launch its own Year of Mercy. Every parish and outstation must have a logo of the year of mercy and must display it for all to see. The Chancery sells these posters. We bought them for all our parishes. You will also light the candle of the Year of Mercy on Sundays. The chancery sells these candles as well. During the Mass, we must find a slot to pray the Prayer of the Year of Mercy by Pope Francis. We have it in English but in a short while we will have it in other languages. Pray the prayer of Jubilee Year of Mercy by Pope Francis at home with your family. Share about it and try to understand it together as a family. Share about the Mercy of God in your group, sodality or SCC. Encounter the God of Mercy in the Bible. Use scriptures to encounter this God and also share testimonies about your encounter of God’s Mercy. Try to organize seminars and discuss the Bull of the Holy Father, “Misericordiae Vultus”. Every priest has a copy. You can google and print it for yourselves. Pray the Divine Mercy Prayer, at 3pm at home, school or at work. On Sunday we can pray it in the parish church. The Cathedral holds a Divine Mercy Prayer every Wednesday evening. We will make copies available in all languages, in the new year. Every individual, parish, SCC, Sodality and Association must decide on how you will practice the Corporal Works of Mercy and the Spiritual Works of Mercy. Organize your own deanery celebration of the Year of Mercy during 2016. Organize your own parish retreat or parish mission based on the Year of Mercy and use the Missionaries of Mercy recommended to us by the Bishop’s Conference, they have been prepared for this. You may also use someone that you believe will do a meaningful retreat. Organize Penitential Services and Healing Services throughout the year. The Holy Father has requested that Confession be made available. Enquire at the Cathedral as confession is always available on Saturdays. I recommend that all parishes should organize Holy Hours on Fridays and make confession available during that time, especially during Lent. Talk to others about God’s Mercy. Focus on lapsed Catholics. Encourage them to come back to church to experience the Mercy of God and the love of the parish community. Those who had cut themselves away from the Church, can use this time to seek God’s forgiveness and to reconcile with the church. Talk to your pastor about it. During this Year, let us all ponder God’s face of mercy and experience it again and again. This is not theory, it is experiential. Experience this face of mercy! God invites us to return to Him with all our hearts. He will receive us. Be a face of mercy to others especially those who need to experience mercy from you. May this be a fruitful and joyful year for all members of the diocese of Klerksdorp. Have a spiritual season of Advent and put Christ back into Christmas. The main reason we celebrate Christmas, is Jesus Christ our Saviour! We ask the special intercession of Saints Peter and Paul during this Holy Year and the maternal intercession of Our Lady Conceived without Original Sin, whose feast we celebrate today. We also say a happy feast day to the Oblates of Mary Immaculate and happy feast day to the sodality of Kemolo e e senang Sekodi. BISHOP: Dearly beloved brothers and sisters, with eyes fixed on Jesus and his merciful face, the Holy Father, on the Solemnity of the Immaculate Conception, inaugurated an Extraordinary Jubilee, thus opening to us and to all men and women the door of God’s mercy. In communion with the universal Church, this celebration marks the solemn beginning of the Holy Year in our diocesan Church; a prelude to the profound experience of grace and reconciliation that awaits us this year. We shall joyfully listen to the Gospel of mercy that Christ the Lord, the Lamb of God who takes away the sins of the world, continually proclaims throughout the world, inviting us to rejoice in his love: a love announced again and again to every creature on earth. Inviting us also to be merciful like the Father. O God, author of true freedom, who desired to gather the whole human race into one people, unshackled from the chains of slavery; and who give to us, your children, a time of mercy and forgiveness; grant that your Church, ever expanding in freedom and peace, may brilliantly shine out to all as a sacrament of salvation; and make known and active in the world the mystery of your love. We ask this through Christ our Lord. Amen. Tax collectors and sinners were all drawing near to listen to him, but the Pharisees and scribes began to complain, saying, “This man welcomes sinners and eats with them.” So to them he addressed this parable. “What man among you having a hundred sheep and losing one of them would not leave the ninety-nine in the desert and go after the lost one until he finds it? And when he does find it, he sets it on his shoulders with great joy and, upon his arrival home, he calls together his friends and neighbors and says to them, ‘Rejoice with me because I have found my lost sheep.’ I tell you, in just the same way there will be more joy in heaven over one sinner who repents than over ninetynine righteous people who have no need of repentance.”The Gospel of the Lord. Jesus Christ is the face of the Father’s mercy. These words might well sum up the mystery of the Christian faith. Mercy has become living and visible in Jesus of Nazareth, reaching its culmination in him. The Father, “rich in mercy” (Eph 2:4), after having revealed his name to Moses as “a God merciful and gracious, slow to anger, and abounding in steadfast love and faithfulness” (Ex 34:6), has never ceased to show, in various ways throughout history, his divine nature. In the “fullness of time” (Gal 4:4), when everything had been arranged according to his plan of salvation, he sent his only Son into the world, born of the Virgin Mary, to reveal his love for us in a definitive way. Whoever sees Jesus sees the Father (cf. Jn 14:9). Jesus of Nazareth, by his words, his actions, and his entire person reveals the mercy of God. We need constantly to contemplate the mystery of mercy. It is a wellspring of joy, serenity, and peace. Our salvation depends on it. Mercy: the word reveals the very mystery of the Most Holy Trinity. Mercy: the ultimate and supreme act by which God comes to meet us. Mercy: the fundamental law that dwells in the heart of every person who looks sincerely into the eyes of his brothers and sisters on the path of life. Mercy: the bridge that connects God and man, opening our hearts to the hope of being loved forever despite our sinfulness.